More Than Just A SAHM: What’s so difficult about being happy? Nowadays technology has increasingly developed, leading to the appearance of new gadgets and machinery. People tend to focus on having as much income as possible and therefore forget what life is really about: being healthy and content. Even if we live in a world which is dominated by laptops, tablets and smart phones we are still able to read books, many of them being available in ebook version as well. 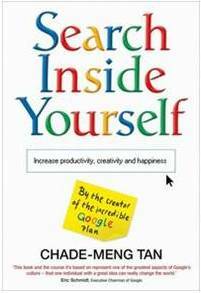 Google engineer Chade Meng-Tan has written a novel entitled Search Inside Yourself, which is based on the course with the same title. It focuses on a series of principles, which will change people’s lives when applied accordingly. Improving one’s lifestyle and reducing the amount of stress in everyday situations are important factors which need to be considered when aiming to be happy. Awareness is also raised on the idea that final outcome is highly affected by the person’s initial thoughts and actions. Looking on the bright side of life usually helps get closer to the desired result. Attempting to explain the entire process is not an easy thing to do, however, the author successfully manages to do so. People who have read the book or attended the course have stated that their lives took an entirely different turn after applying the principles. It has led them to a peaceful and more enjoyable existence in which money is not the thing that matters the most. 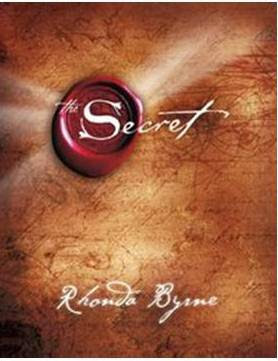 Another strong publication that offers valuable advice and information is The Secret by Rhonda Byrne. She has collected information regarding the subject from traditions, literature, philosophy and religion in order to provide a broad perspective to readers. This book can be seen as an instruction manual towards achieving happiness and success. Even if it does not seem like that at first, it teaches people how to recognize their own personal values and more importantly, how to cherish them. Many of us don’t actually know what our inner strength consists of until we actually look for it. The moment we recognize it, everything changes. In a nutshell that’s what Rhonda Byrne’s book is all about. One thing is certain, every one of us is different and therefore the manner in which it affects us will vary. There is no right or wrong way to perceive it. In the end, we all want to be happy. that's the ultimate goal to be happy. but some people get envious when another person seems so happy. why oh why. I want to be happy and content, and I want to lessen the amount of stress in my work! I should read these books! Happiness is a state of mind. It depends on how we perceive the situation we are in and how we accept our current state in life. I'll search the novel that you cited that seems to be a great read. First heard about "The Secret" at the Oprah show. Have been reading some bad reviews about it though so I decided not to read it. WOW! Search inside yourself looks like an inspiring book! I've heard rave reviews of The Secret. I should get an electronic copy of this one. Happiness can be very elusive especially if we base it on too many conditions.